This week has been a great one, 2013 is really starting to prove to be great so far, although we’re only 12 days in so many great things have been happening I’m on cloud 9, which reminded me of how important it is to count my blessings & not take things for granted. First bit of good news came on Wednesday, Joe dropped a sample of his “boys” as he so delicately puts it, right before we left for North Dakota & we found out Wednesday that he’s all good, good count, & good mobility/motility (I hope he doesn’t kill me for publishing this information). So we are both completely fine & just need to keep trying for a baby. I am trying to just keep focused on the present & I’m relieved that we both are healthy & capable. Second, our cruise for Joe’s 30th is finally booked! We’re taking an NCL cruise to Bermuda May 30th through June 7th. This actually happens to fall right before MY birthday which is June 8th, Joe’s isn’t until June 22nd, but prices were better the week we ended up booking, & Joe isn’t too concerned about the dates. Our friends Jessica & Mike are going with us & we are so excited. We get to fly into Boston on the 30th, which none of us have ever been to, so we are definitely looking forward to that. Making a stop at Cheers for sure! I can’t wait to see the pink sand and the turquoise waters in Bermuda. The unique thing about our itinerary is that we port in Bermuda at Kings Wharf for three days, so there’s less of a time crunch than we typically get when we sail. This is definitely going to be a highlight of 2013. 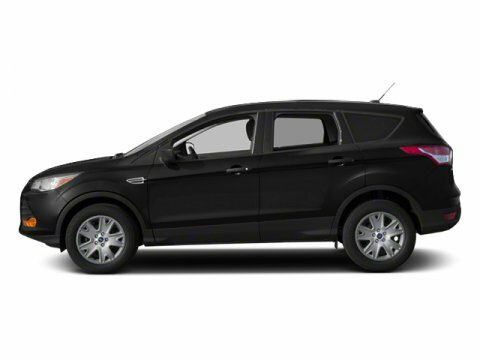 Third, is that I’m 99% sure that I’m going to lease a new 2013 Ford Escape. I’ve never leased before, but every day on the radio I hear a guy at Bill Walsh Honda of Ottawa talk about how awesome leasing is now. Basically you pay for about 50% of what the car is worth for 39 months rather than buying the car for full price. After the three years is up you can either finance the rest of what the car is worth & buy it, or you can trade it in for something new. If you’re like me and you go through vehicles about every three years, leasing seems like it’s definitely the way to go. Then you’re always getting the newest version of the car of your choosing for half of its worth. This Escape is amazing. What I loved most was the touch screen navigation system & the remote start. What Joe loved most about it was the park assist which he actually tried. I was too scared. The car scans for a parking spot when you’re trying to parallel park & it parks for you, the car tells you to let go of the steering wheel, all you do is use the break to ease into the spot. I honestly doubt I would ever use it, but it’s an option on the one we’re getting. It was pretty amaze-balls. So many amazing things happening in our lives right now. We went to Bianchi’s for pizza last night since we were in Ottawa and just talked about how lucky we are & how many nice things we have. We have a house over our heads, we have food on the table, we both have well-paying jobs that allow us to live the way that we do, pretty comfortably. We have some great material things like nice vehicles, two motorcycles, nice clothes, the newest technology, but we also have wonderful, involved, & supportive families & so much love for each other, which is much more important than any new car or iphone. But it is nice to be able to treat ourselves to some nice things for all the hard work we do. We have so much to be thankful for. I'll leave you with this, it's very humbling.